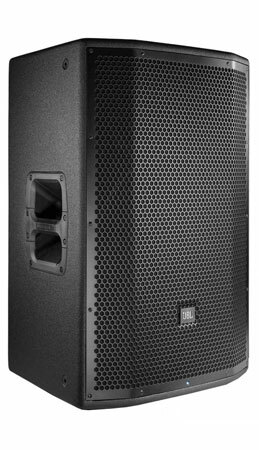 The JBL PRX815W is a full-range speaker designed for main system and floor monitor applications. 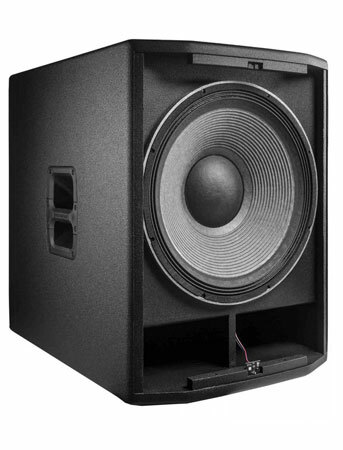 Featuring a 15", two-way, bass-reflex design powered by a 1500-watt class-D amplifier, PRX815W delivers incredible volume in a lightweight and compact form factor. 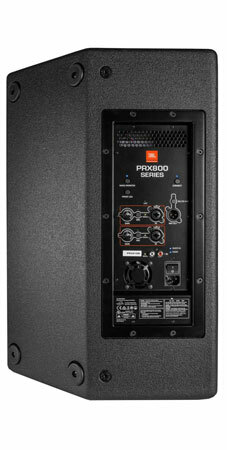 PRX800W is the first PA system in its class to feature complete wireless control via Wi-Fi. The PRX Connect mobile app for iOS and Android connects wirelessly to every speaker, offering full control over the powerful built-in DSP. Set up, configure and optimize the performance of your live sound system-faster than ever before. Walk around the venue during sound check and fine-tune your speakers to sound better as a system. Use the 8-band EQ, speaker delay, mute, gain and more to make sure your audience hears great sound from every corner of the room. It's easy to configure shows offline and save presets. You can even find any connected speaker instantly with the useful Locator function. 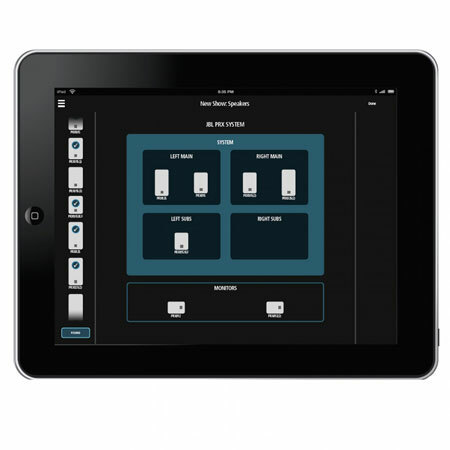 Built-in Wi-Fi for wireless control of your system from anywhere in the venue. 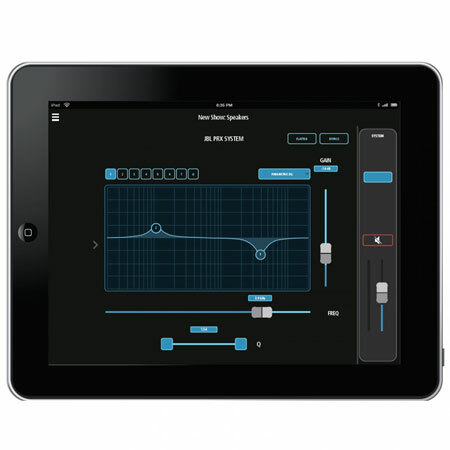 Free PRX Connect mobile app for iOS and Android provides wireless control over volume levels, 8-band parametric EQ and up to 50ms of speaker delay to fine-tune your sound. 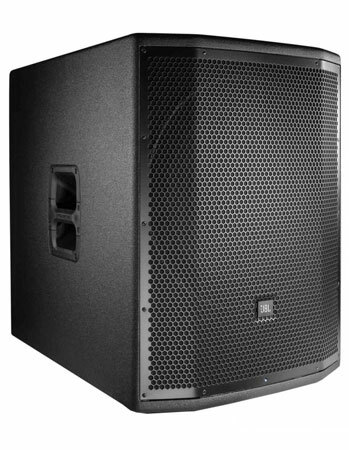 Class-leading 1500-watt amplifier delivers ample power to fill your venue. JBL Differential Drive transducers for higher SPL in a lightweight design. Next-generation JBL neodymium compression drivers. Redesigned Crown input technology, including XLR, 1/4" and RCA inputs plus XLR loop-through. Intelligent variable-speed fan activates only when needed to reduce noise. Updated tuning delivers flat frequency response and smooth off-axis behavior. Durable wooden cabinets, tour-proven DuraFlex finish and dent-resistant 16-gauge grilles. Universal power supply for worldwide compatibility. dbx Type IV limiting ensures clear, accurate sound at high volumes. Brutal testing regimen-including the famous JBL 100-hour power test-ensures reliable performance. 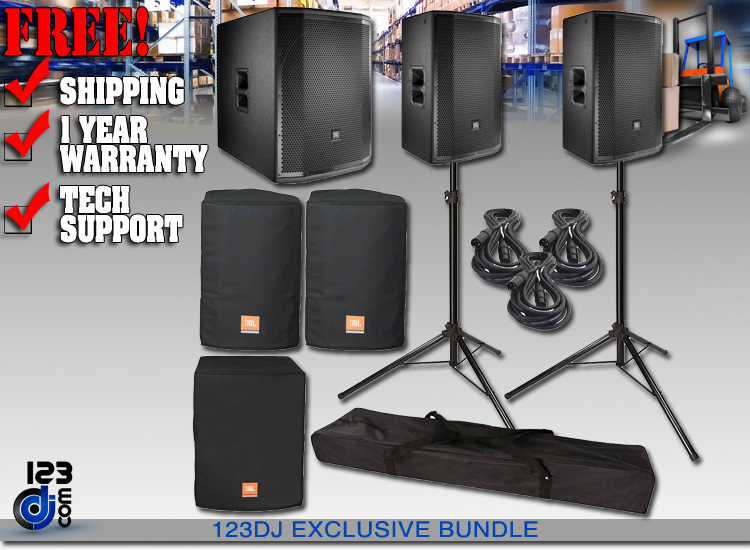 Bands, DJs, and other performers who need a powerful, accurate, versatile PA system. Permanent PA in small clubs, bars, and other performance venues. Permanent PA for houses of worship and schools. The 2-way 15" offers the perfect balance between size and performance. The PRX815W truly is an exception; it's small, light weight, versatile and powerful with remote Wi-Fi control of onboard DSP EQ parameters. The performance and asymmetrical design make this a perfect choice for musicians, entertainers and DJ's when portability is key, or when hung by the suspension points, an exceptional light-duty installation speaker. All PRX800 Series speakers were designed to excel in sound reinforcement where challenging audio environments and loud volumes are the norm. For applications requiring full bandwidth sound reproduction, the PRX815W delivers the optimum balance. For live music, recorded music playback and speech the user has the option of tailoring the EQ. A microphone can be directly connected to the speaker input for quick PA applications. Coupled with a PRX800 sub-woofer the system becomes an efficient, full-range sound system. 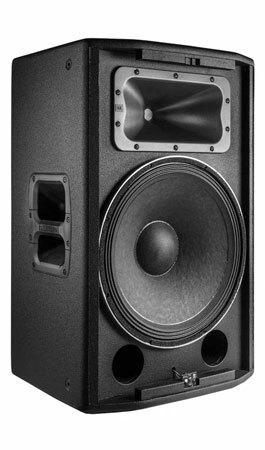 The PRX815W is comprised of 15" 275G Differential Drive woofer, a 2408H-2 37.5 mm (1.5 in) annular polymer diaphragm, neodymium compression driver mounted to a 90° by 50° horn, all driven by 1500 watt Class-D power amplifier. Sophisticated DSP is at the core of a fully featured input section, providing user selectable system EQ, protection, input sensitivity selection, cross-over functionality, dynamic limiting and discrete component optimization. All PRX800 cabinets are built from a combination of 25 mm (on the top and bottom for added rigidity) and 18 mm, strong, light-weight poplar plywood made structurally sound with tongue and groove joints. All PRX800 Series cabinets are protected by JBL's tour proven DuraFlex finish. Grilles are made from dent-resistant 16 gauge steel and handles are made from light-weight glass-filled nylon for added strength and durability. All M10 suspension points are constructed from 14 gauge steel and have been tested with a yield-strength of 1000 lbs. each. The amplifier input panel offers XLR or ¼ inch jack compatibility and a sensitivity switch provides extra flexibility, making it possible to connect literally any sound source without using a mixer. Signal present and overload lights indicate the system status and assist in setting the optimum level via the level control knob. 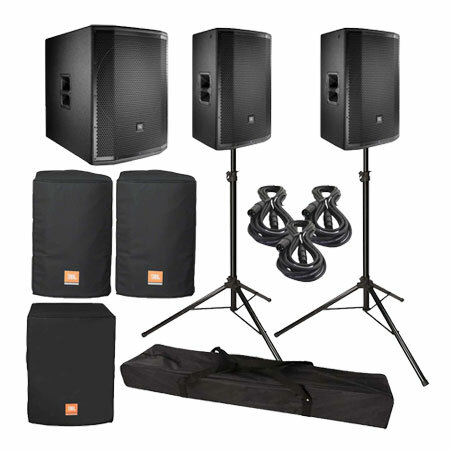 The JBL PRX800W series is the most advanced PA in its class. Wi-Fi technology and sophisticated DSP give you complete control over system tuning and performance via the free PRX Connect app. An efficient 1500-watt class-D amplifier and patented JBL Differential Drive technology provide best-in-class power and reduced weight. And the rugged all-wood cabinets feature a redesigned input panel and universal power supply for easy, reliable operation worldwide. 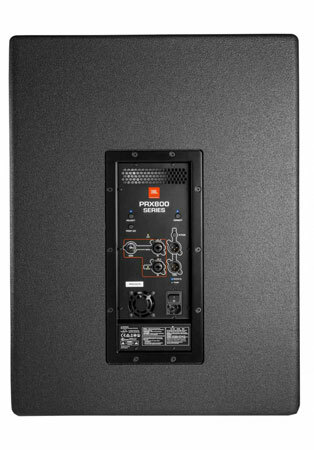 Designed to deliver legendary JBL sound for bands, DJs and more, PRX800W represents the next generation in smart live sound reinforcement. 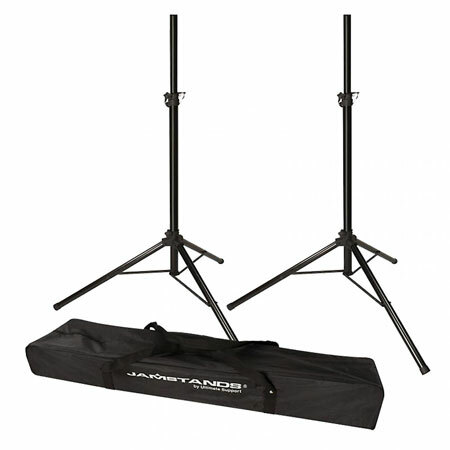 Speaker stands need to be both sturdy and easy to move. The Speaker Stand (Pair) fits on both accounts, giving you a stable environment in which to elevate your speakers to optimum height. Crafted from aluminum and powder-coated for finish durability, these stands will give you years of service.The strong telescoping and leg collars provide a stable stand for your speakers. The height adjustment collar has a safety pin for extra security. Tripod base is very stable and sturdy. Carrying bag included for FREE! Deluxe padded cover for PRX815W. Black exterior with printed 'JBL Professional' logo. 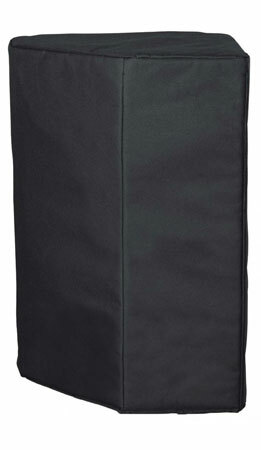 Durable 600-D Nylon outer fabric - keeps out dust, dirt, and helps prevent dents & dings. Interior padded with protective foam layer and soft tricot lining. Handle cut-outs provide access to built-in cabinet handles. Printed JBL logo on front panel to compliment your JBL PRXs. 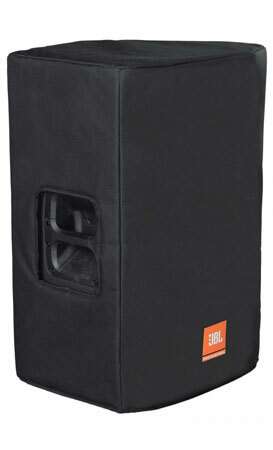 The official protective cover for JBL PRX loudspeakers. 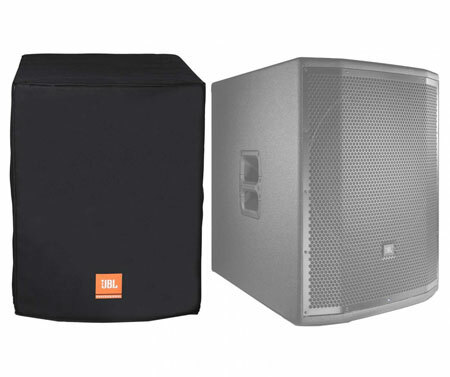 The JBL PRX818XLFW is a self-powered extended low-frequency subwoofer system. Featuring a JBL 18-inch woofer powered by a 1500-watt class-D amplifier, PRX818XLFW delivers incredible output in a lightweight and compact form factor. The PRX818XLFW extended low frequency subwoofer was designed and engineered to provide sub bass frequencies with accuracy and power. Used as a single sub in a sub/sat system or in multiples as part of a scalable, large format sound reinforcement system, the PRX818XLFW performs with exceptional efficiency and control. The subs are stackable and light-weight ensuring quick set-ups and tear-downs. And due to their rugged construction are perfect for AV rental inventories. With a pole receptacle (that accepts a SS4-BK or SS4-BK24) on the top panel and integrated stereo pass-thru this is the most powerful low-frequency complement to the PRX full-range systems. The addition of a polarity reverse option further enables system optimization. The PRX818XLFW is a high performance self-powered subwoofer system with remote Wi-Fi control of onboard DSP EQ parameters. The PRX818XLFW is comprised of a powerful 2278G Differential Drive dual voice-coil and magnetic gap, woofer driven by a 1500 Watt Class-D power amplifier. Sophisticated DSP is at the core of a fully featured input section, providing user selectable cross-over functionality, polarity optimization, protection, dynamic limiting and discrete component optimization. All PRX800 cabinets are built from a combination of 25 mm (on the top and bottom for added rigidity) and 18 mm, strong, light-weight poplar plywood made structurally sound with tongue and groove joints. All PRX800 Series cabinets are protected by JBL's tour proven DuraFlex finish. Grilles are made from dent-resistant 16 gauge steel and handles are made from light-weight glass-filled nylon for added strength and durability. The amplifier input panel offers stereo inputs with XLR or ¼ inch jack compatibility. A user selectable crossover ensures a smooth transition to full-range system connected to the stereo outputs. Signal present and limiter lights indicate the system status and assist in setting the optimum level via the level control knob. Deluxe padded cover for PRX818XLFW-CVR. 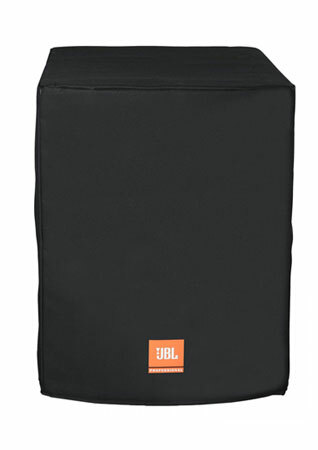 Black exterior with printed 'JBL Professional' logo. Grille	Powder coated, Obsidian, 16 gauge perforated steel with acoustical transparent black cloth backing.